Burger chain departed from Northlake. The Wendy's restaurant on LaVista Road next to Popeyes and across the street from McDonalds, not far from Northlake Mall, has closed. The freestanding restaurant reportedly closed about two weeks ago. Despite this fact, the restaurant's street and building signage is still intact leading nearly a dozen would-be patrons to drive into the parking lot in hopes of a meal or snack, only to discover the closure. 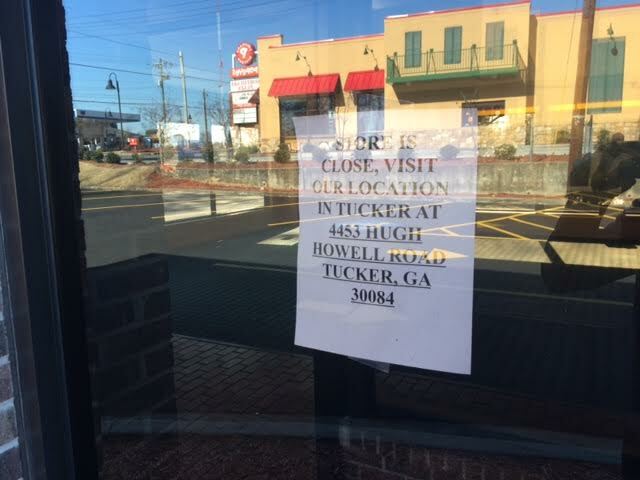 Signage on the building directs patrons to an existing location on Hugh Howell Road in Tucker, about four miles away, but a Wendy's corporate source indicates that the restaurant will "relocate." The source did not provide a timetable or location for the relocation, but perhaps it will be at "The Meridian at Tucker" project. Wendy's had previously closed their location within the food court at Northlake Mall. For various reasons, Dublin, Ohio based Wendy's has seen its store count dwindle in metro Atlanta over the past few years, according to a Wendy's real estate source. 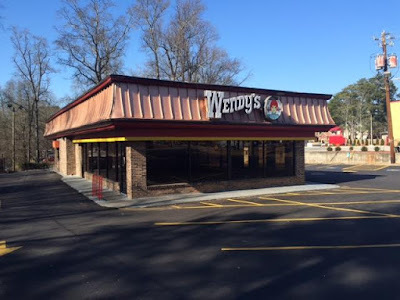 Over the past few years, Wendy's has closed a number of metro locations including two on Peachtree Road in Buckhead, another on Atlanta Road near 285, a food court location at CNN Center, and on Powers Ferry Road in Sandy Springs. 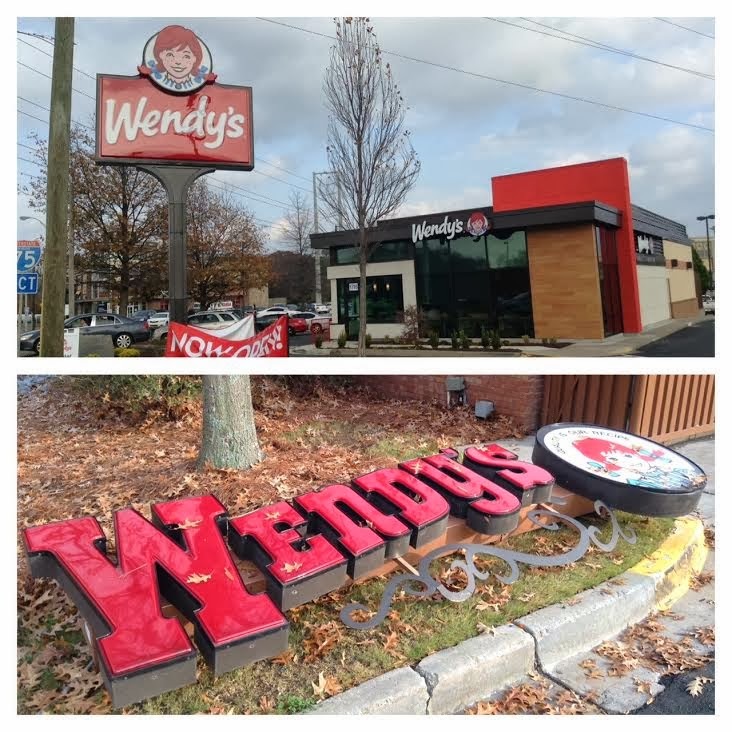 Other local Wendy's restaurants have stayed open and completed various levels of the company's "Image Activation" program. 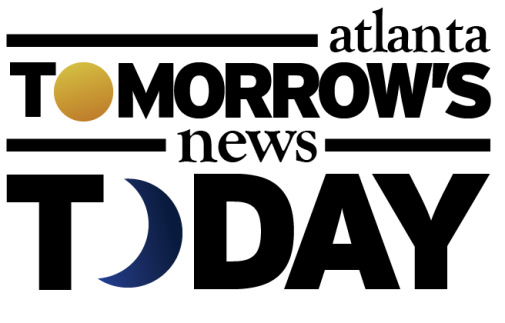 The program, launched in 2011, provides various options for upgrading existing locations to better reflect the brand's current positioning and branding. Local examples of Wendy's that have completed various "Image Activation" projects include those on Howell Mill Road on the Westside, on Boulevard just off Ponce de Leon Avenue, on Marietta Street near Bolton Road, and on Moreland Avenue in East Atlanta. A location in the 8400 block of Roswell Road in Sandy Springs closed over two years after a fire damaged the restaurant. While it was expected to reopen soon afterward, the owner has reportedly been going back and forth with his insurance company in the months since. The same Dublin, Ohio based real estate source indicated this location in "scheduled" to be demolished in May and rebuilt, with a planned reopening in August. 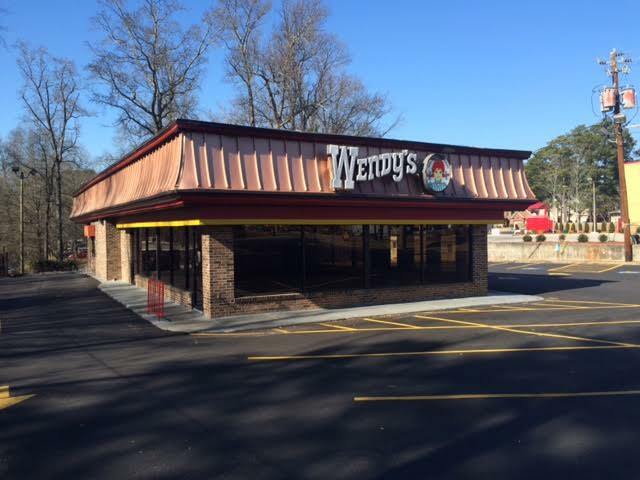 Another Wendy's on Piedmont Road near Piedmont Circle was sold last year. The restaurant closed for a few weeks for what was said to be a renovation, but instead related to the change in ownership. This restaurant is expected to close in April to undergo an "Image Activation" renovation. No reopening timetable was available. Where would you like to see Wendy's "relocate" near Northlake Mall? What is your favorite menu item at Wendy's?  Has your local Wendy's gone through the company's "Image Activation" process, if so, what are your thoughts? I grew up eating here too. This was a Judy's and a no-name fast food fried chicken place before becoming Wendy's, sometime around 1980 or so. It's a really classic piece of late 70s fast food architecture, but I doubt that will save it. I’m not sure if the quality of food/service changed or if my taste have matured, but I’ve found both lacking during my more recent visits to Wendy’s. I suppose if they plan to relocate that location something closer to I-285 would make sense maybe near Northlake Parkway and the new development happening in that area. What baffles me is how these places that have been open for 10, 20, even 30 years, suddenly are not doing good business and up and close. I live close to that Wendy's but rarely went. I was not impressed the few times I went there. I just don't think any Wendy's is that good any more. Years ago I thought Wendy's had the best burgers around but now I think they are tasteless. The only fast food place I go to is Chickfila. Much rather go to one of the many fast casual chains that are around. The only thing I ever get at Wendy's is a Frosty. I don't know about the food, but the Frosty is still awesome. Wendy is too low class for the well heeled Northlake inhabitants. No tears from me. Hopefully something useful will go into that spot. Something fresh and healthy, maybe. Orrrrrrr.... drive-through Starbucks? Old Wendy's with carpeting are gross. Fast food restaurants need to have hard surface flooring. The workers at fast food restaurants do not care enough to clean carpet. Therefore it holds odors, bacteria, mold etc. I hate going into an old Wendy's with carpet. Just looks dirty! My wife would be excited about a drive-through Starbucks (makes it easier to get coffee without having to bring the kids inside) - have to drive to Loehman's Plaza/Brighten Park for that now. Current Northlake Starbucks is in a weird location. I think it was called 'Betty's' when it was a fried chicken place. Does anyone have access to directories from 1979-81 or so? Would be nice to verify. This location was just too dated. I think with a renovation it would have done well. Look at McD's across the street. This location was just dated. I bet a renovation would have helped. Look at McD's across the street.